The Killeen Police Department Traffic Unit initiated a special enforcement detail on Highway 190 today, Tuesday, May 31, 2016, from 6:30 am until 12:00 noon. This detail was part of a citywide traffic education and enforcement action and was citizen complaint driven. The Traffic Unit has been receiving numerous complaints from Killeen drivers about speeding on Highway 190 and conducted this special enforcement detail. There were a total of 141 speeding violations issued, 4 non-speeding hazardous violations, 14 non-hazardous violations and 6 warning citations issued. The majority of the violations issued were in excess of 20 miles per hour above the posted speed limit and several violations issued were in excess of 90 miles per hour. The Killeen Police Department Traffic Unit reminds you to slow down, give yourself plenty of time to arrive at your destination on time and alive. Killeen Police Department Animal Services is extending their shelter hours once a week. The Killeen Animal Services is pleased to announce that as of Thursday, June 2, 2016, the shelter will be open every Thursday until 7pm. The shelter hours are Monday through Friday 11am until 4pm and Saturdays hours are 11am until 5pm. These extended hours on Thursday until 7pm, allow for citizens to locate their lost animal or to adopt an animal. Animal Services has hired more employees which allow the shelter to accommodate the needs of the public. Citizens have been asking for the shelter to have longer hours and now one day a week is a start and if this proves to be beneficial for everyone involved it could lead to more extended hours. The Killeen Animal Services wants the public to remember to Spay or Neuter and Microchip for a healthy happy animal. Killeen Police investigate an evening fatal crash on Stan Schlueter Blvd. Officers responded to a 911 call telling them of a crash in the area of Stan Schlueter and Ledgestone on Sunday, May 29, 2016, at 7:22pm. Upon the officers arrival they located a gray Toyota Camry and a silver Honda Accord that had been involved in the crash. The preliminary investigation revealed that the Honda was traveling west on Stan Schlueter in the outside lane when the 17 year old driver in the Toyota pulled onto Stan Schlueter from Ledgestone into the oncoming path of the Honda causing the Honda to collide with the driver’s side of the Toyota. The driver of the Toyota, Jayveon Devone Burks, was immediately transported to the Carl R. Darnall Army Medical Center where he succumbed to his injuries and was pronounced deceased by medical personnel at 8:11pm. The 16 year old passenger in the Toyota was transported to Baylor Scott & White Hospital in stable condition and the driver of the Honda was transported to Metroplex Hospital with minor injuries. KPD focusing on impaired drivers and those who exceed the posted speed limits. The Killeen Police Department would like to remind drivers to exercise care during the Memorial Day holidays and drive safely. The department will have extra patrols that will be on the lookout for speeders and impaired drivers. The extra patrols are a result of the department’s participation in a Texas Department of Transportation funded grant known as the Selective Traffic Enforcement Program (STEP). Officers working with the STEP program will focus on those who are exceeding the posted speed limit and locating and arresting impaired or intoxicated drivers who are presenting a hazardous risk. It is the goal of this program to prevent potential injuries and loss of life to local drivers and holiday travelers. The Killeen Police Department wishes everyone a safe and happy Memorial Day holiday. Killeen Police investigate early morning incident at Bellaire Elementary School. The Killeen Police Department was contacted today, May 20, 2016 at 7:55am, in reference to an incident that took place between a 9 year male and an off-duty Killeen Police Officer, inside Bellaire Elementary School located at 108 W. Jasper Road at 7:20am. A supervisor responded to the school and began speaking to those involved and the school’s administration. The supervisor was advised that the off-duty officer had signed into the school for personal business. While walking in the hallway the officer heard a disturbance inside a classroom and entered the classroom to check the welfare of those inside. Upon entering the classroom he identified himself as a Killeen Police Officer to the individuals involved in the disturbance. The officer gained control of the child causing the disturbance. The officer ascertained from the faculty member what normal protocol should be for this situation. He was told the child should be removed to the principal’s office. The officer and a faculty member then removed the child from the classroom. While escorting the child to the principal’s office, he began to resist causing the officer to restrain him. Once the child was restrained other members of the faculty took control of the situation. 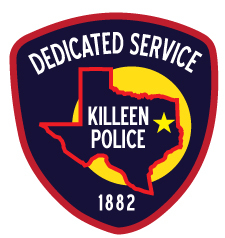 As is required by protocol, the Killeen Police Department initiated a criminal investigation as a result of minor injuries observed on the child; this investigation is to determine if these injuries occurred during this incident and under what circumstances. The officer has been placed on administrative leave pending the results of the criminal investigation and an internal investigation that has been initiated to determine if the officer’s conduct was appropriate and within department policy. Killeen Police learned that the juvenile escapee was in the area of Stan Schlueter and Shawn Dr. Officers searched the area and located the suspect in the 4200 block of Greenlee; he was hiding in a tree house in the back yard of the residence. The suspect was taken into custody without incident at 11:57am. Killeen Police search for a juvenile who escaped from the Juvenile Detention Center. Officers responded to a 911 call at 1:05pm, advising a 16 year old male inmate had just escaped the Juvenile Detention Center located at 4800 E. Rancier. He is described as a black male, 6’2” tall and weighing approximately 230 pounds. The escapee was wearing an orange sweat shirt and orange sweatpants; he was last seen running westbound in the field area. The officers were told the male overpowered the detention officer and took their keys to open the door and fled on foot. The juvenile is a suspect in several Burglaries, Robberies and Auto Thefts and is considered to be dangerous. Do not attempt to apprehend, contact local authorities if seen. The name of the escapee will not be released since he is a juvenile. Detectives are asking anyone who has information of the escapee’s whereabouts to contact Crime Stoppers at 526-TIPS (8477) or go online anonymously at www.bellcountycrimestoppers.com. You can also download the app P3 tips on IOS and Android phones. All information is anonymous and confidential and if your tip leads to the arrest of the person responsible for this crime you could be eligible for a reward up to $1,000 in cash. Killeen Police search for juvenile who escaped from the Juvenile Detention Center. The name of the escapee will not be released since the he is a juvenile. Killeen Police Investigate Homicide on Covey Lane. Officers were called to the 1200 block of Covey Lane at 9:38am, on Saturday, May 14, 2016, after receiving a 911 call in reference to a man down. Upon the officers’ arrival they located a 28 year old male suffering from multiple gunshot wounds inside a vehicle. Justice of the Peace Donald Engleking pronounced the victim, Jamaal Jeffery Skipper, of Killeen, deceased at the scene at 10:18am. Officers were called to the 1200 block of Covey Lane at 9:38am, on Saturday, May 14, 2016, after receiving a 911 call in reference to a man down. Upon the officers’ arrival they located a victim. Justice of the Peace Donald Engleking pronounced the 29 year old victim deceased at the scene at 10:18am. The name of the deceased has been withheld pending the notification of the next of kin.